Cheryl Maxwell, currently the Planning Program Manager/KTMPO Director for the Central Texas Council of Governments (CTCOG), has been named Director of Planning by City Manager Sam A. Listi. Mrs. Maxwell is AICP Certified as a Professional Planner, has 18 years’ experience with the CTCOG, and worked for over 6 years as Planner with the City of Temple. This selection follows the departure of Erin Smith, who served as Director of Planning for almost six years, and who was recently selected as Assistant Director of Planning in Round Rock. Mrs. Maxwell earned a Bachelor of Science Degree in Geography from Texas A&M University, and has completed 20 hours towards her Masters Degree in Applied Geography from Texas State University. In her City of Temple experience, she served as Development Review Coordinator and Senior Planner conducting comprehensive plan updates, developing land use studies, working with property owners and developers on zone changes and subdivision plats, as well as with the Planning & Zoning Commission, City Council, and other City Boards. 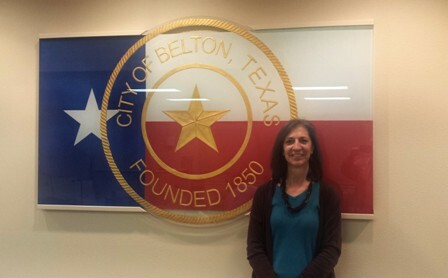 Belton City Manager Sam A. Listi said, “Cheryl brings extensive local and regional experience to her new position as Director of Planning in Belton, will lead a Department responsible for current/long range planning, permitting, inspections, and GIS, and we look forward to her joining our team.” Her start date will be January 8, 2018.